I would like to introduce you to the Artémuse String Quartet, comprised of four talented musicians who performed with me on my latest album, Rêverie. Solange Bouchard graduated from the Conservatoire de musique de Montréal, where she studied under Raymond Dessaints. She is currently a member of the Orchestre des Grands Ballets Canadiens, the Amati Ensemble and the Longueuil Sympnony Orchestra. She also freelances in the Montréal music industry. Frédéric Lefebvre started his violin studies at the age of 4 with Les Petits Violons de Jean Cousineau. In 1988, he was selected to attend the class of Raymond Dessaints at the Conservatoire de musique de Montréal. From 1990 to 1997, he received music scholarships from the Arts Foundation of Laval. In 1995, he obtained the scholarship of excellence from the McAbbie Foundation. In 1997, he graduated from the Conservatoire de Musique de Montréal. Frédéric Lefebvre is a member of the Amati Ensemble, the McGill Chamber Orchestra and Romulo Larrea Tango. He has been heard as a freelancer with such varied artists as Luciano Pavarotti, Charlotte Church, Rod Stewart, Diana Ross, Ginette Reno, Jimmy Page and Robert Plant. He regularly participates in numerous recordings, for cds, television, radio and cinema. Frédéric Lefebvre is a violin professor at the music faculty of the Marcel Vaillancourt School in Laval since 2002. 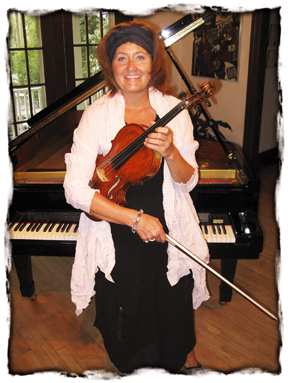 Christiane Lampron, violist, studied under the masters Paul Doktor and Willian Lincer in New York, following studies at the Conservatoire de musique de Montréal. She started as a member of the Québec Symphony Orchestra, then played for eight years with the Montréal Symphonic Orchestra, where she contributed to numerous recordings. Christiane Lampron is currently the first viola of the Longueuil Symphony Orchestra and performs regularly with the Laval Symphonic Orchestra. She is also a member of the Studio de Musique Ancienne, I Musici de Montréal Chamber Music Orchestra, the Amati Ensemble, the McGill Chamber Music Orchestra. 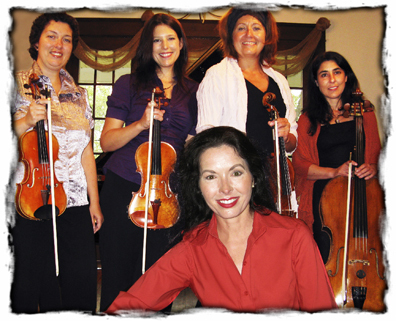 Since 1983, she has played with the Orchestre des Grands Ballets canadiens under the direction of Jacques Lacombe. 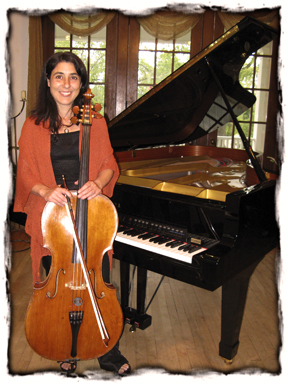 Élisabeth Dubé began studying the cello at the Polyvalente Pierre-Laporte. She then went on to study with Denis Brott at the Conservatoire de musique de Montréal where she obtained her diplôme d’études supérieures. She has received bursaries from the McAbbie Foundation and numerous Festivals (l’Aria International summer Academy, Music Academy of the West and Dallas Summer Festival) where she specialized in chamber music. She appeared as soloist with L’Orchestre de la Polyvalente Pierre-Laporte, Orchestre du Conservatoire de Musique de Montréal, Jeunes Virtuoses de Montréal, and La Chapelle de Montréal. Occasionally, it is possible that one of my musicians will not be able to be part of a concert representation or a tour. We have thought about this eventuality and for this reason, the Artémuse String Quartet disposes of experienced high quality substitute members. 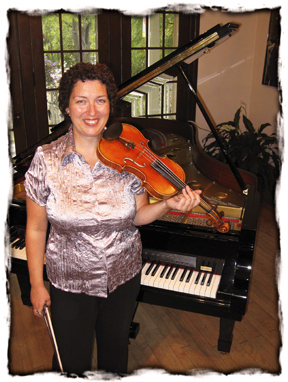 Amélie Lamontagne holds a University of Montréal master's degree in violin interpretation, obtained under the supervision of violinist Anne Robert. Interested in jazz and pop music, Amélie has performed in many large production shows, such as Pink Martini (Montreal Jazz Festival 2009), Chris Botti, Robert Charlebois («April on Mars» tour), Colin James, «Hommage to Aznavour» under the direction of Jean-Pierre Lambert, «Katrinaid» at the Spectrum alongside Alain Lefèvre, Georges Thurston and Oliver Jones and Richard Abel at the Bell Centre. Amélie has also performed with the «La Chicane» band and in Dany Bédard's musi music video. 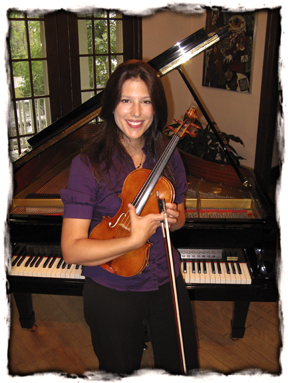 She freelances regularly for many symphony orchestras and shares her passion for the violin by teaching in different music schools in the Montreal and Monteregie area. 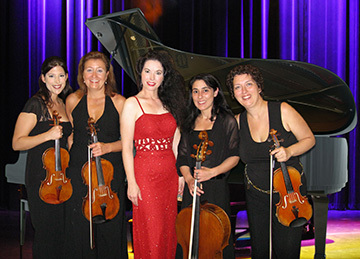 A member of the «Rhapsodie» string quartet, Amélie Lamontagne is also a founding member of the Fiestango Ensemble, who present concerts throughout Québec. The ensemble offers youth programs combining theater and music in collaboration with the Jeunesses Musicales of Canada. They have also just released their first album.